A few weeks ago I got in touch with Eppo Franken (creator of Chicken Picks) and asked if he had anything suitable for heavy rock and metal playing styles. 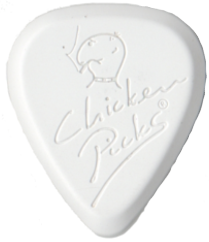 I’d known about chicken picks before, and had heard many good things, but the name suggests that they’re more for country playing. I don’t know about you, but I want to rock! I want a pick that can rock with me- it needs to be fast, comfortable, and (above all) sound great! Usually, I tend to use whatever I can get my hands on for a pick. The only thing I look for is that it isn’t too flexible and weedy, or two thick and clumsy. I didn’t realise, when I asked about Eppo’s “shredder” range, that they range between about 2.2 and 3.5 millimeters thick! Then he told me about the “Badazz III”, which are a little thinner (2 to 2.7mm). This still isn’t super slim, but they’re pointier, which means you can be more agile over the strings. …and it turns out that all of these picks are great for shredding! The name of these picks suggests that they’re designed for country music, but- trust me- they work well for other styles too! I haven’t played any country music with these picks, and I still think they’re great! Although the thickest pick- at 3.5mm- makes you put a bit more effort into your pinch harmonics, the Badazz III really brings out individual notes when you’re sweep picking! The rounded edge of the pick adds warmth to your tone, and allows the pick to glide effortlessly across the strings. Then, what I’m assuming is the material gives you a more biting, clear note attack. If you compare these to Dragonheart picks, for example, they have a much brighter tone. Although they definitely don’t sound thin. Check the sound test I play in the video to hear what I mean. The one thing that makes these picks really unique is the material. A highly durable thermosetting plastic- which is extremely hard. This means it should not only last a long time, but it means it has a lot of weight. 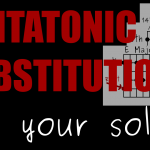 This is why your notes wont sound thin with this pick. There is just too much weight in a chicken pick- so it’s not like your flimsy plastic cheap bendy thing! Did I mention that these picks are hand made?! Not only does that mean your pick will be unique, but the plastic actually wears down to fit your playing style. Yes, your standard cheap pick will wear down, too…or actually just melt at high speed (happened to me before!). However, usually this will happen too fast. The chicken pick will shape itself to you, and then stay that way for a long time. Well, the tone, for a start! These picks have a great, precise bite on the notes, without being too cold or thin. 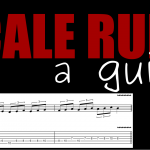 This applies to single note runs as much as with strummed chords. In fact, this is the deciding factor for me. The tone of these picks is why I love them so much. They might be a bit thick, and clumsy for the faster runs, but they sound amazing! If fast runs is what you play most often, I suggest getting the Badazz III. 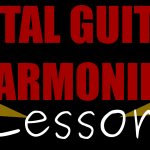 This is shaped better for single notes, with a bit of a trade of for strumming (but it’s not impossible!). I also like how the edge of the pick is angled in just the right way to glide over the strings. This makes playing much easier than with a cheaper pick. Of the few faults I can see in this pick is that it’s bright white. Yes, this may help you to see it, and (hopefully) not lose it as easily. It will also show dirt much more easily. To be honest, though…if that’s your main concern when buying a guitar pick, you may need to sort out your priorities! …and it’s still as thick as your average ‘thick’ pick! Personally, this doesn’t bother me, as I don’t like my picks too thin anyway. What I really look for is tone quality, and note clarity- which these picks have buckets of! …but then that’s also why I’ve come to like them! Chicken picks do exactly as they say on the tin! They’re a well-made, solid pick that will give you a great tone. 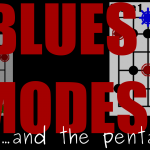 So, if you want a strong note attack and defined notes, without sounding thin, these are the picks for you. 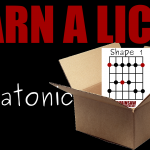 If you want a warm tone that never loses clarity, then, again, Chicken Picks are the way forward! Visit the chicken pick website for more information.